This essential mini hair clip has a white rose design. 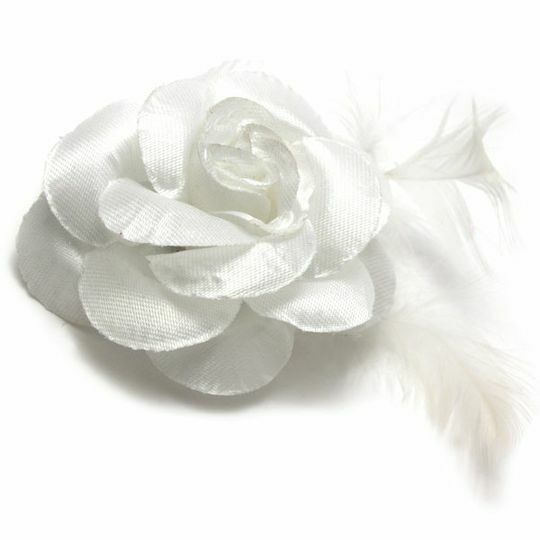 Organza petals and a carnation spray of white feathers means this is a decorative and timeless accessory. Dainty enough to be worn as a costume brooch or mini hair fascinator! A strong crocodile clip ensures a secure fit! A cheap hair accessory with bags of potential.